Affordable Roll-Offs provides low-cost dumpster rentals in Denver, CO. Our flat-rate rental prices include delivery, pick-up, disposal and a generous rental period. There are no hidden delivery fees or fuel surcharges. 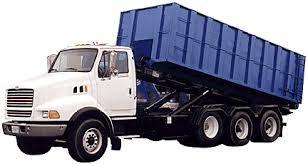 Save time and money when you choose Affordable Roll-Offs – Dumpster Rentals. We proudly serve residential and commercial customers in Denver and the Denver metro area. We carry various Dumpster Sizes. They range from as small as 15 cubic yards to our largest 40 cubic yard dumpsters. Why rent a roll-off dumpster for your project? Many times residential homeowners tackling a large remodel project or a clean-out find themselves overwhelmed with the amount of trash being generated. Some take it to the city dump by themselves. Even though it is an effective means to get rid of the trash, they find them selfs cramming trash into their personal vehicle and run the risk of damaging their vehicle. Let’s not forget to mention the long lines and wait times that they will probably encounter at the Land-FillsMake the most use of your time and get rid of unwanted trash the fast and simple way. Rent a roll off dumpster from Affordable Roll-Offs. Knowing exactly what your paying for is not only nice, it’s necessary! That’s why we’ve done away with all the hidden fees and surcharges that most dumpster companies still use to confuse customers. We understand that no-one likes complicated technical explanations. That’s why we use a simple flat-rate and include free delivery. We try to make it as simple to understand as possible. 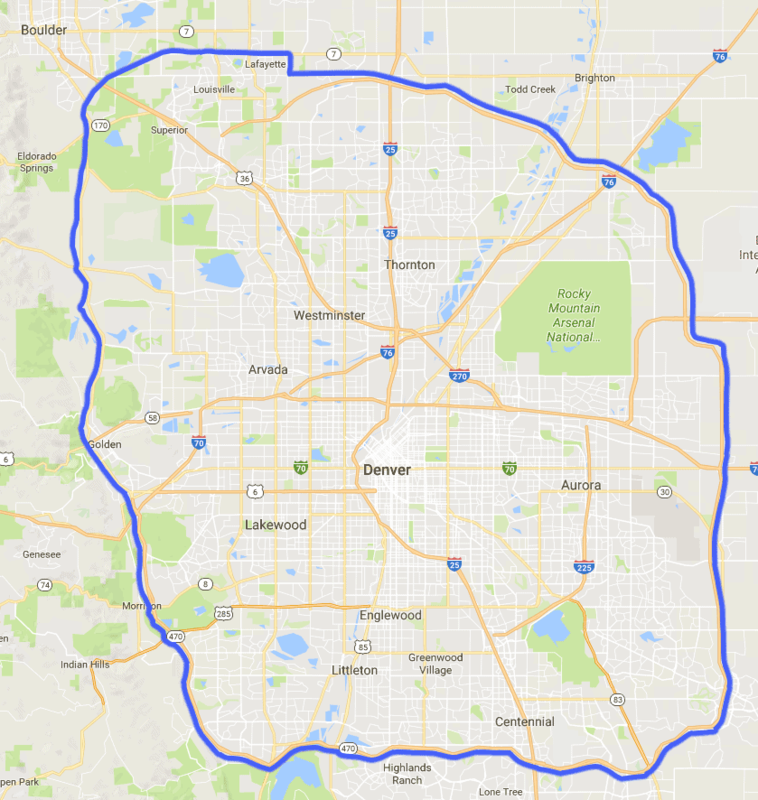 If you are within the Blue Outlined area of the map, than you are in our service area. Free delivery and pick-up is included to all customers within our service area. We offer competitive rates on our dumpster rentals. Our free delivery service makes it a breeze to order a dumpster. You can call or email us for more information. We provide the highest level of Service in the Denver Metro Area. We can have a dumpster to you within 24hrs of your order being placed. Let our friendly customer service team point you in the right direction, and help you select the right size dumpster for your project.